One of the great advances in modern medicine has been the success of organ transplantation. Whilst complications still arise from its use, the refinement of drugs designed to reduce organ rejection alongside other improvements, mean that the procedure is often lifesaving. As is frequently the case however, there is a caveat to this “wonder-cure”, namely, that far more people require organs than there are organs available. This global shortage has given rise to a host of complex ethical challenges. Several of these issues have already been explored here, including the implementation of ‘opt-in’ organ donation systems and the appropriateness of receiving organs on the basis of ability to pay1, 2, 3. 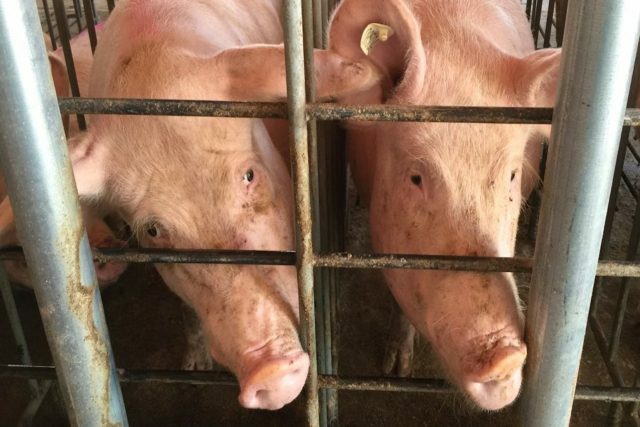 The development of chimeric human-pig embryos announced in the journal Cell last week may therefore be hailed as the much-needed answer to this problem of organ shortages. With over 120,000 people on the national transplant list in the US alone and 22 people on that list dying each day, any opportunity to increase the numbers of transplantable organs has an obvious appeal4. However, this development is far from a perfect solution. Chimeric embryos are early life forms that are composed from 2 or more different sets of genetic material. In this case therefore, one set of genetic material is from a pig and the second from a human. These chimeras were initially made in the laboratory, before being transplanted into surrogate sows. In the study, only a fraction of the total embryos transplanted (just over 10%) showed successful development, surviving for 3-4 weeks5. After this gestation time the embryos were removed owing to legal restrictions that prevent the complete development of chimeric embryos. The importance of this scientific development should not be underestimated. If chimeras such as this could one day be made successfully, then it is reasonable to expect that such organisms could be used for not only organ transplantation, but also to aid the research and development of many devastating illnesses and their prospective cures. Yet, it has been suggested that the potential usefulness of such chimeras will be directly proportional to the similarities they share with humans5. In other words, if human-animal chimeras are to be of use, they should be designed to be as close to human as possible. It is recognized that the technology is still at an incredibly early stage. However, at its extreme, the use of chimera in this way would be comparable to creating humans for the sole purpose of organ harvesting or medical research. The use of human-animal chimeras, in terms of not just present technology but also their future potential, therefore warrants careful consideration.